Tucked into the strip of shops on Ballarat Street, l'uccellino is fairly inconspicuous with only a small sign above the door. The large windows allow a good view into the smarty set up interior. The tables were set with white table cloths, and the old wooden chairs added to the formal feel, the kitchen is open, the only down side being the tall stacks of take away boxes that were visible. 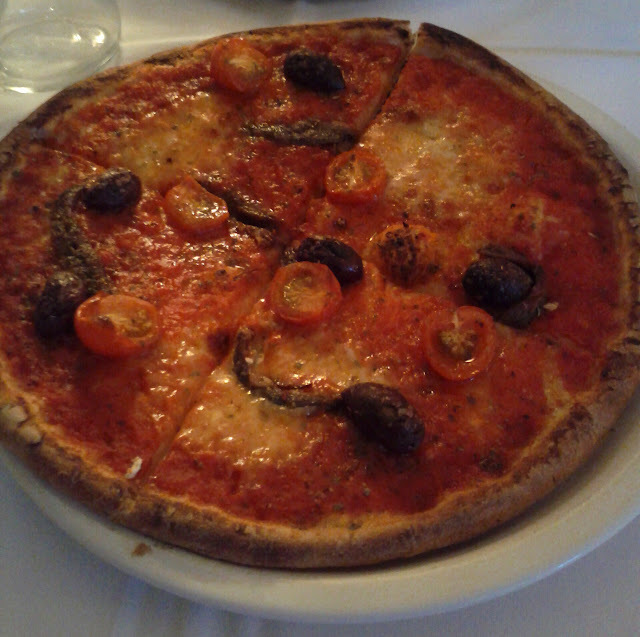 We shared a couple of pizza's, the Puttanesca was topped with tomato, fior di latte, black olives, cherry tomatoes and some great anchovies. The base was thin and crisp and all the ingredients good quality, the only quibble would be that it would have been nice to have just a few more anchovies and olives. 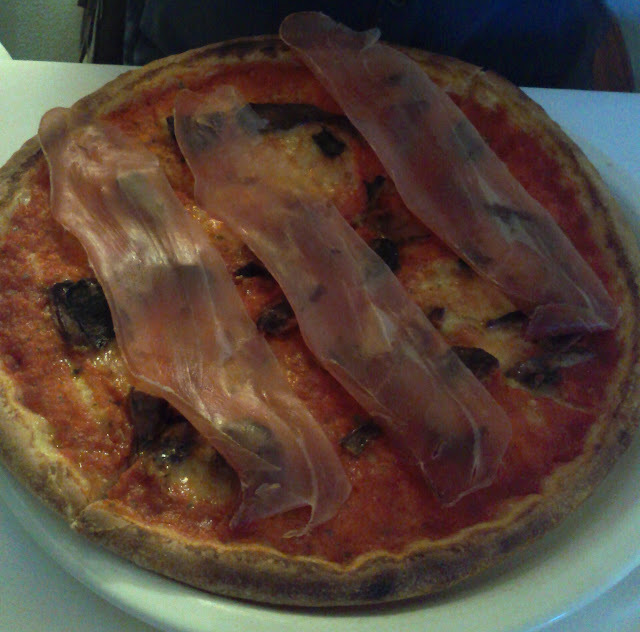 The funghi porcini pizza came topped with three tranlucent slices of prosciutto as well as the tomato, fior di latte, and porcini mushrooms. Again the base was great and ingredients flavorsome, although a couple more mushies would have been nice. The service was swift as we wanted and friendly and the bill came in at $37. 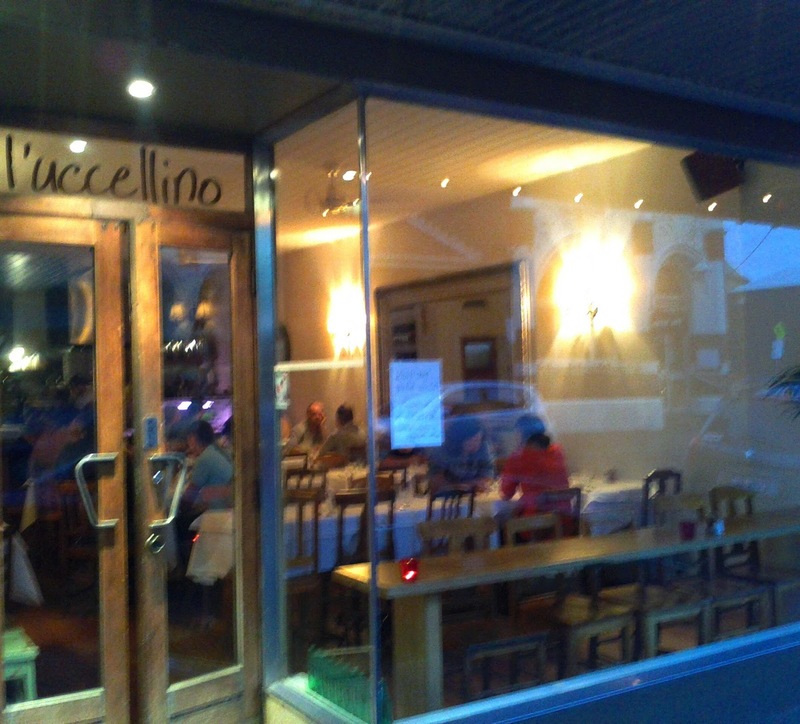 We were both satisfied by the meal, and would go back, but probably wouldn't make the walk down to Yarraville just to visit, especially as we'd have to walk past Tin Pan Alley on the way!